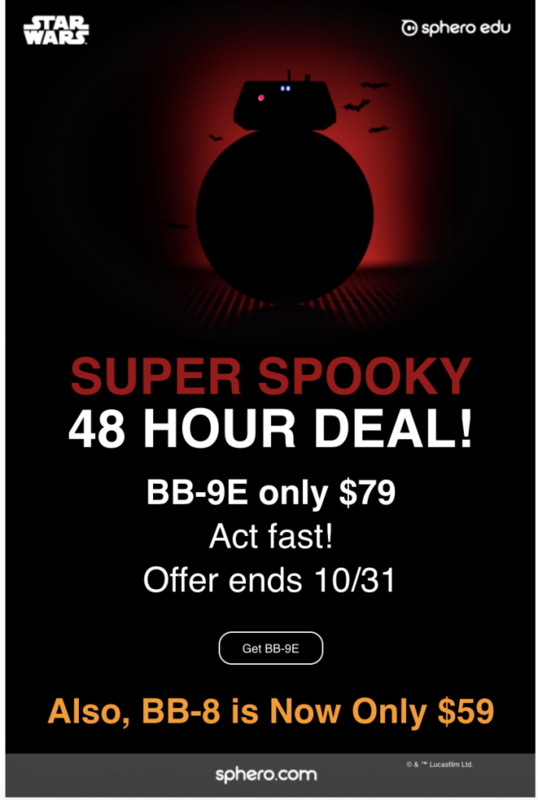 Catch this super deal today and tomorrow if you are in need of a BB-9E or BB-8 for your collection. Sign up with sphero to receive your own emails regarding these deals. They run these deals every few months. They are great for adults and even more fun for the kids.